A boxed set of three volumes beloved by students of Hogwarts School for Witchcraft and Wizardry. Includes "Fantastic Beasts and Where to Find Them," Newt Scamander's masterwork on magical creatures; "Quidditch Through the Ages," a history of the game and its rules; and "The Tales of Beedle the Bard," with commentary by Albus Dumbledore. 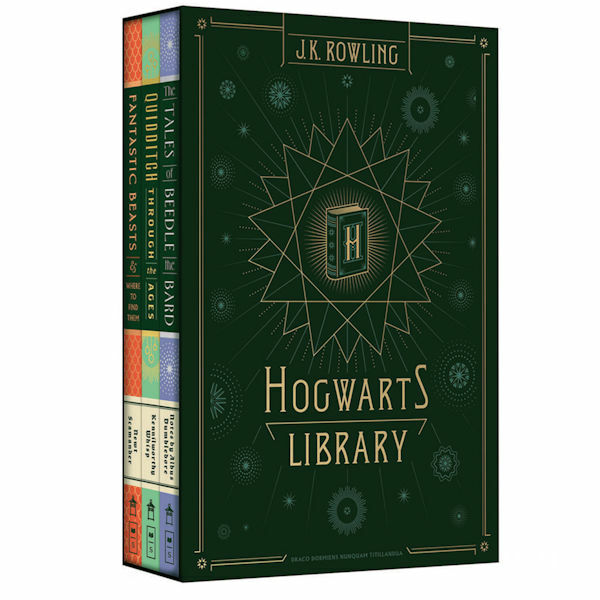 Three hardcover books in a handsome slipcase.